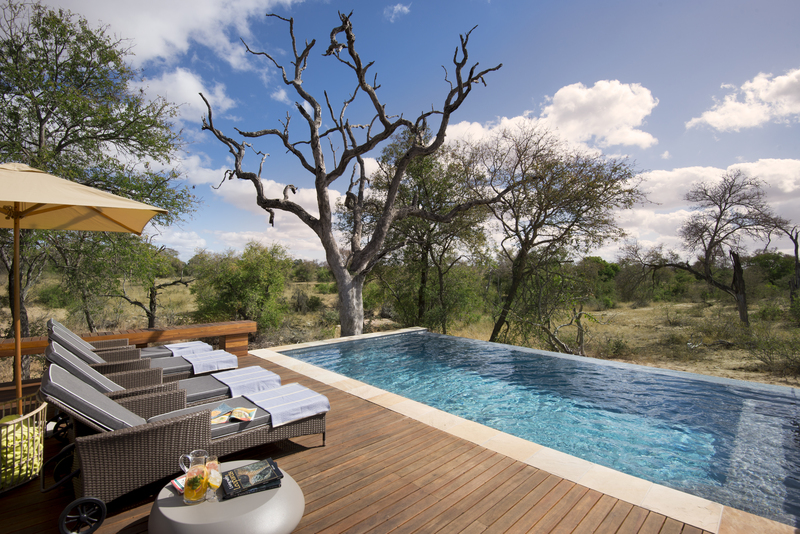 We would like to extend a warm welcome to the stunning Rockfig Lodge, the latest addition to our collection. A beautiful dining area enclosed with glass doors stacks up to integrate indoor living spaces and the great outdoors. Enjoy your meals overlooking the riverine landscape without having to leave your home away from home. This wonderful lodge boasts architectural acuity that creates a spontaneous flow between communal and private spaces, and indoor and outdoor areas. 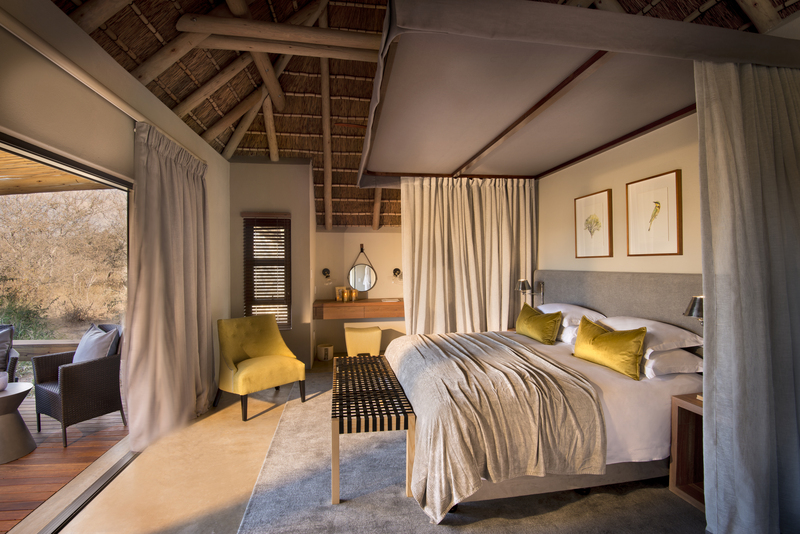 The interior of RockFig Safari Lodge takes inspiration from Timbavati’s locale and luxurious bush setting evident in the colours and rustic furnishings. The designer has created a relaxed mood with an authentic outback feel emanating at all moments. This property is the perfect destination for guests of all ages with activities to enhance everyone’s experience and appreciation of this piece of heaven. 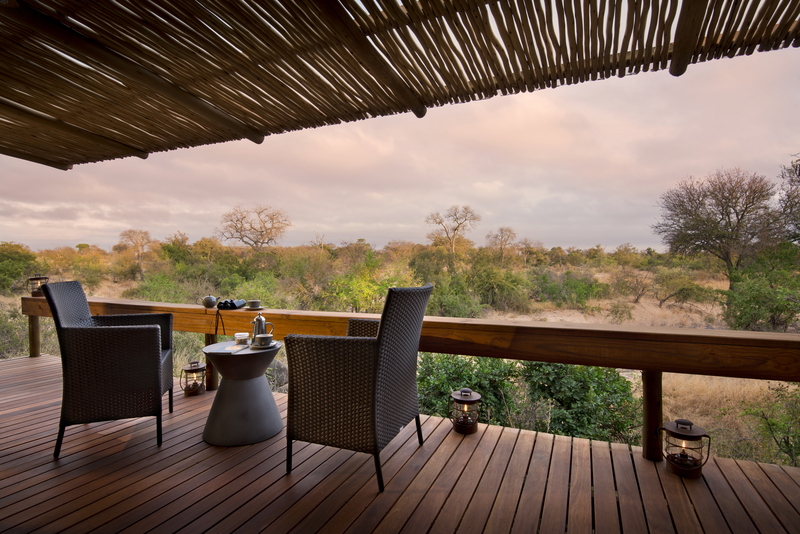 30 000 acres of African bush adjoins the superlative Kruger National Park. Without any fences bordering the two parks, the natural migration of wildlife is encouraged. This thriving, unspoiled wilderness area is home to a wide variety of wildlife: the Big Five are among the plethora of mammals you will see. 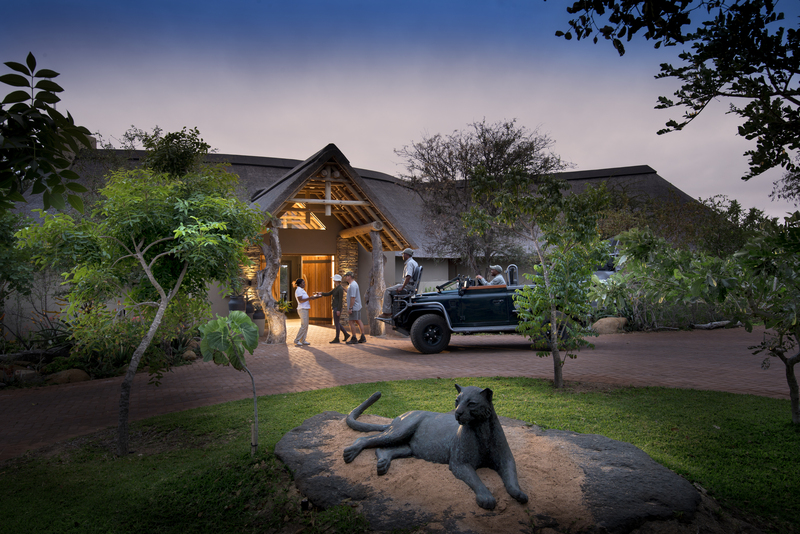 RockFig Safari Lodge offers morning and afternoon game drives with professional guides and trackers who will guarantee you an incredible safari experience as the quiet corners of South Africa come to life. Taking the diverse age group of guests that visit, activities can be tailored specifically to you. If game drives aren’t intimate enough for you, RockFig can arrange a guided walking safaris where you will be able to stop and marvel at the abundance of beautiful birdlife, interesting insects, reptiles and amphibians. This is especially fascinating for those interested in the flora of the Timbavati. You will have the chance to learn the different grasses and trees of the bush on your morning and afternoon/evening drives, and bush walks. Not forgetting the wonderful photographic opportunities for when you are left without words trying to retell your experiences! Your guide and tracker will show you how to read the signs of the bush to foresee the movements and behaviour of birds and animals. 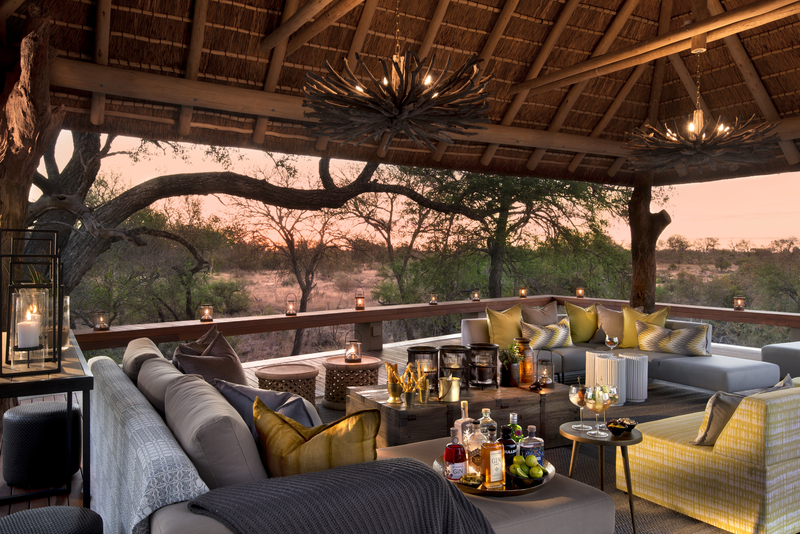 Enjoy the company of other guests over sundowners as you recap on the days adventures, or if you prefer, a romantic bush dining experience or sunset picnic. 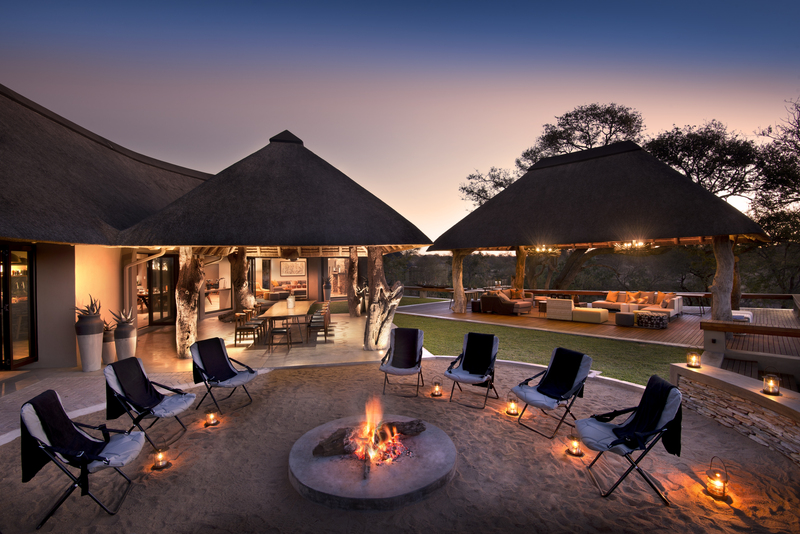 Families with young children will enjoy time spent around the open boma giving guests time enjoy the experience of a traditional camp fire under a brightly lit sky. 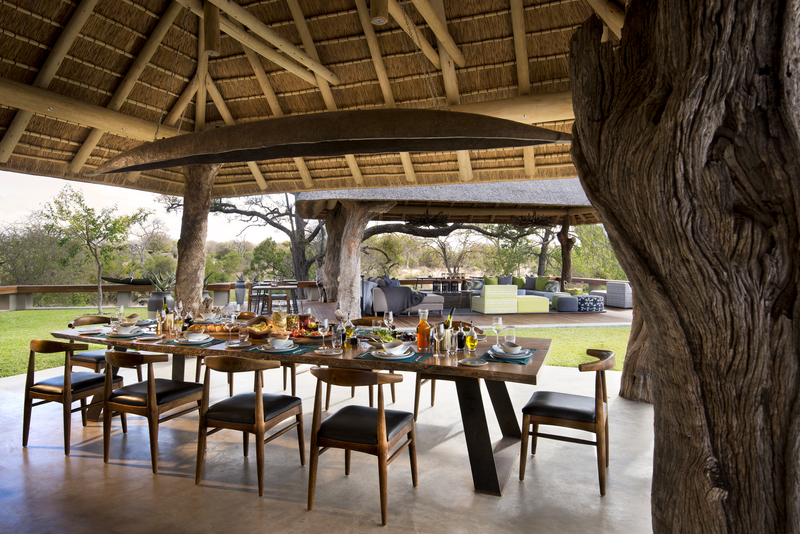 Nothing bonds families like a good meal; RockFig Safari Lodge is excited to introduce guests to a traditional South African potjie and braai, setting your table in the outdoors. RockFig Safari Lodge is a family orientated property but conserves that safari romance one can only expect out in Africa’s open plains. With only eight guests at a time, you are assured privacy. The perfect destination for some R&R, you will be woken by that first ray of morning light atop pure cotton linen. Stretch out on to the deck before taking an outdoor shower or rest those shoulders in a wonderful bath using the exclusive Terra Firma Range. Head out for a couples massage or spend the day exploring the vast plains from the sky in a helicopter or hot-air balloon. If you’re feeling more romantic than usual, book a horse ride nearby and gallop in to the distance. RockFig Safari Lodge is positioned near the banks of the dry Nhlaralumi River amongst high arching riverine trees. Poetically secluded, this rustic colonial-African style camp rests on guests enjoying simple comforts in five star settings. Taken straight from a novel, each bedroom has screens on the windows and doors, an overhead fan for those warm summer days and a grand net over the bed. 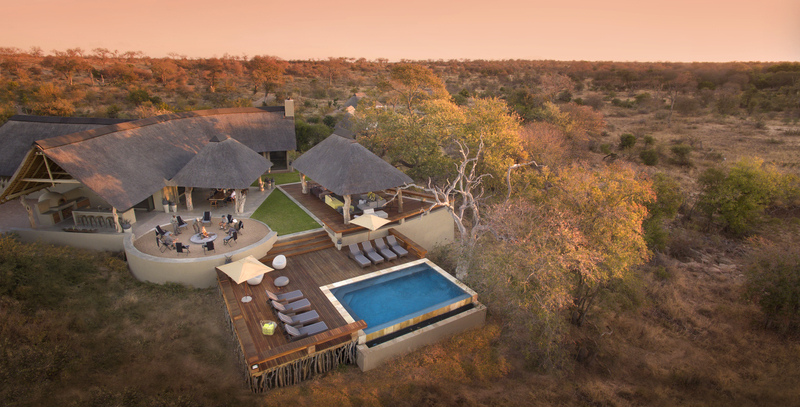 In your free time you can relax at the rock pool, with thirsty elephants, buffalo and giraffes in sight who frequent the nearby waterhole.The private lodge offers the ultimate safari retreat: with its breath-taking surroundings, own vehicle and professional game ranger, as well as a fully kitted kitchen. This lodge is the crescendo in time-out destinations! 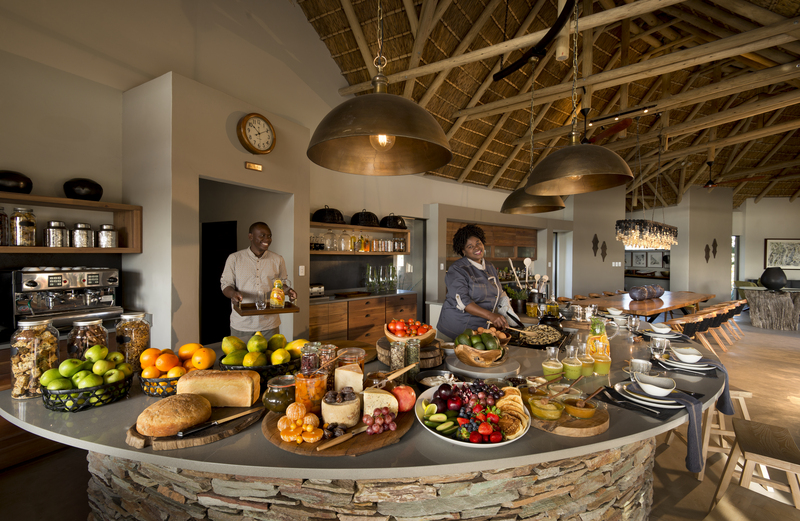 RockFig is just over a five-hour drive from Johannesburg airport. However, Iconic Africa recommends an easy flight to Hoedspruit Airport, a short 45 minute drive to RockFig, connecting you easily from both Johannesburg and Cape Town. RockFig also has its own private airstrip for guests who wish to fly directly to the camp via a scheduled charter by Federal Air landing 5 minutes away from the lodge.